A Delicious Low-Carb MEAL PLAN with a Special BREAKFAST BURRITO! 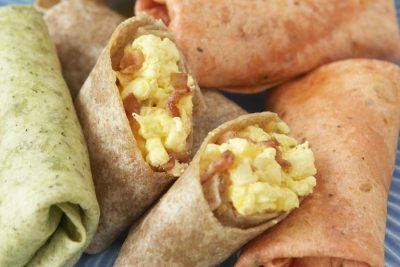 This full-day low-carb menu plan features a delicious and nutritious Breakfast Burrito to get you started in the morning. Nutritional values for the day are 45 grams effective carbohydrate, 27 grams of fiber, 102 grams of protein and 1500 calories. Add a wedge of cantaloupe (1/8 of a medium melon) to complete the breakfast. [Video] What a LACK of SLEEP Does To You … and Tips to Improve Your Lifestyle!